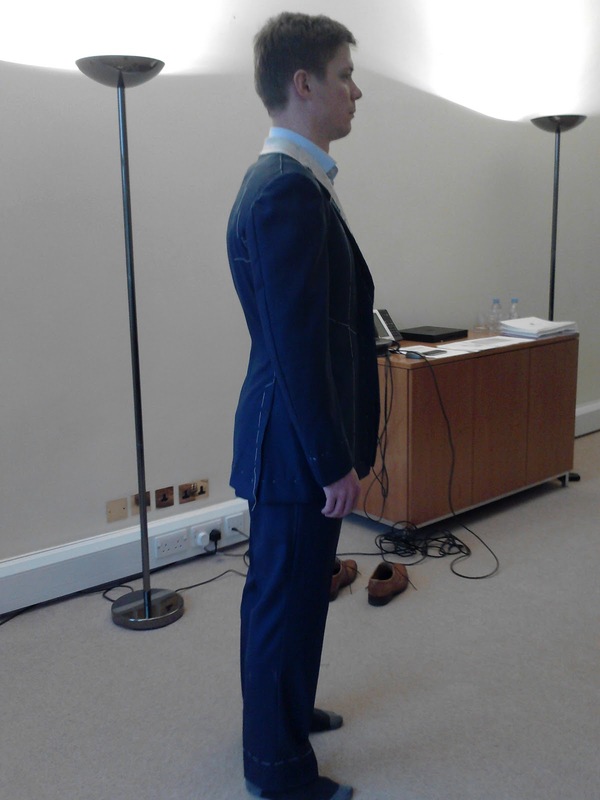 Here's a customer of mine having his first fitting for his bespoke wedding suit. This is the first stage in the making of a bespoke suit. At this stage the suit is put together temporarily using white basting thread to hold it and the canvasses together. It's not that beautiful, but it gives me a great chance to see the fit of the suit and a chance to see where the pattern needs to be adjusted to make the suit fit perfectly. 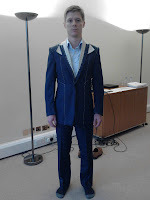 After this fitting, I will take the suit completely apart and re-cut the pattern. I will then place the pattern back onto the cloth and re-cut the individual parts of the suit. I then put the suit back together again, putting in some finished work this time, before seeing it on again, re-cutting it (again) and then taking it to a finished stage. 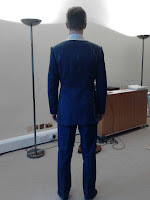 I then see it on again, to check the suit, and usually take it away to make a few final adjustments before allowing the customer a chance to try it out for a while. 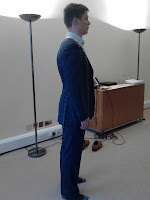 I always check in with a customer again a few weeks later after delivering a new bespoke suit, just to make sure that, once it has settled, everything is still perfect. 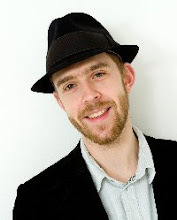 I take a lot of effort to ensure every customer is ecstatic with the clothes I make for them, and because I only make a handful of handmade bespoke suits each year, I can devote a little more of my time to ensuring you get the best.